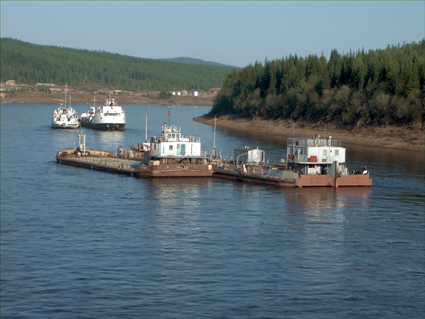 The new navigation system includes four modern information monitor that the online mode transmit information about the location of each ship Yenisei fleet, as well as special courts set on the hardware and software of electronic cards (e-mapping), previously used only by sea. In addition, improved and fully automated jobs dispatchers. On the introduction of the new system was spent about 250 million rubles. "Traditionally, the Navy was measured distances on the river for miles, as the coordinate system was not adapted to the rivers. Today Yenisei skippers enjoy the same electronic cards with the same coordinate system as the captains of ships. Captains of the monitors prescribed fairway, making it into the computer’s memory, and in the future can coordinate the movement of the ship and the journey is on the shipping conditions, "- said the head of Information Technology Shipping Alexander Morozov.